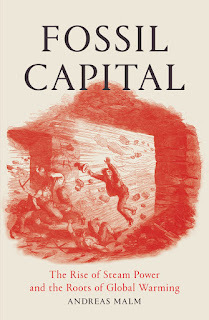 I read Andreas Malm's Fossil Capital while travelling to and from Paris to participate in counter-conferences and protests at the time of the UN COP21 climate talks. It proved to be a prescient choice of reading material for a conference that produced lots of promises but was short on agreement of what to actually do to reduce greenhouse gas emissions. Malm's book could almost be a manual on why it is that capitalism, the fossil fuel economy whose evolution he describes, is so unable to reduce its addiction to coal, oil and gas. 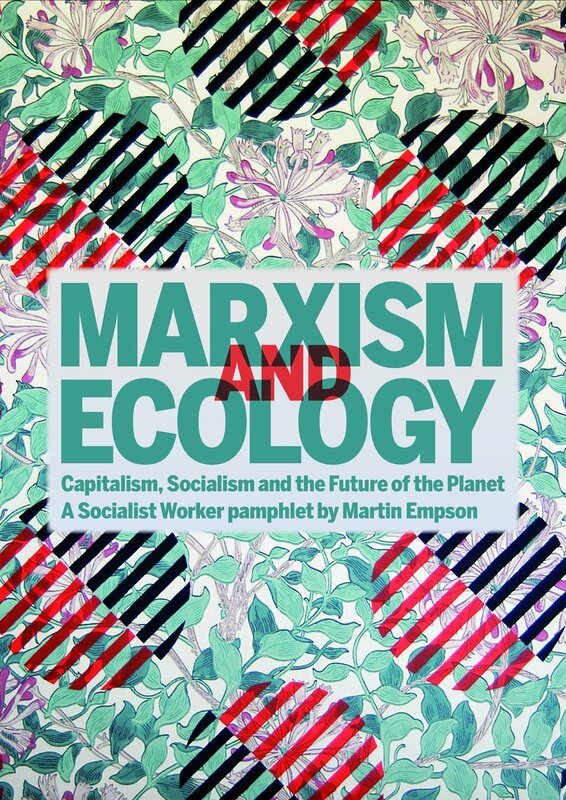 It is a brilliant Marxist critique of capitalism and the origins of the fossil fuel economy and should be read by every activist. Malm begins by asking precisely this question. How is it that we have ended up in a situation where "vested interests" can prevent action on global warming? He argues that we must re-examine the Industrial Revolution in order to understand precisely how it ended up "welding growth to fossil fuels". 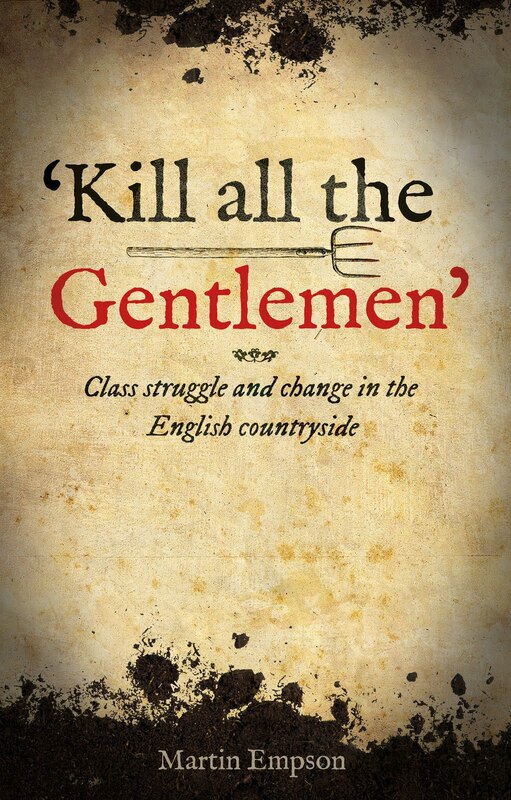 Much of the book then is a detailed study of the way that the Industrial Revolution took place and why the switch to fossil fuels took place. Malm argues that this means understanding power in both its senses, the power that was required to make engines work, and the power that was needed to make the workers operate those engines, or use the energy they produced. The first power system of the Industrial Revolution was flowing water. The rivers that turned the water-wheels were sources of energy that ran huge factories. But water as an energy source has many limitations; there are limited places where mills could be built, sites which were often far from urban areas and lacked labour, and water itself is prone to change - rivers freeze, dry up, or flood - all of which can stop a mill. But despite these limitations, when the steam engine was invented, the switch to coal was not automatic, primarily because of cost. As one boss explained to a British government Factory Inquiry of 1833, "the constant supply of water is much cheaper to turn an engine with than the supply of coal". The transition from water to steam in the British cotton industry did not occur because water was scarce, more expensive or less technologically potent - to the contrary, steam gained supremacy in spite of water being abundant, cheaper and at least as powerful, even and efficient. What Malm shows is that the switch to fossil fuels takes place because fossil fuels allowed capitalists to exploit workers more efficiently, at the same time as over-coming problems associated with capitalist competition. Despite the limitations of steam power (water wheels could convert 85 percent of water's energy into machine motion, compared to steam's two to four percent efficiency at the point when the transition to a fossil fuel economy got going) it became the fuel of choice, eclipsing the water fueled mills within a few years. Reservoirs entangled investors in too much of a scientific - and thus also cooperative - endeavour; with steam, they would not need to actively engage with the science, only receive it from others and switch it on in their private sphere. In this sense, the engine won over the wheel because it was the less advanced productive force. The work that is done by the aid of a stream of water is generally as cheap as that which is done by steam, and sometimes much cheaper. But the invention of the steam-engine has relieved us from the necessity of building factories in inconvenient situation merely for the sake of a waterfall. It has allowed them to be placed in the centre of a population trained to industrious habits. The ruling class dressed this up as benefiting the whole of society. Wealth, even in 1833, was supposed to trickle down, but in reality this was about profits. It had taken generations, Malm argues, to train rural workers, and still they refused to accept the discipline of the mill. In the cities, the manufacturers hoped they would find a more acquiescent workforce. This proved not to be the case, and Malm documents the struggles of workers to protect their jobs (often against the introduction of machinery) and to improve their conditions. Interestingly what finally killed the water-mills were the Factory Acts of 1847 and 1850. These reduced the amount of hours, and which hours, workers could work. In doing so, they meant that water mills, which had such variable sources of power were doomed in competition with those running on steam power. Water power was the "crutch" that capitalism needed initially, but was then discarded. By the 1870s, coal use was soaring becoming "decoupled" from population growth and taking on a life of its own. Coal was now no longer simply associated with heating homes but part of "self sustaining economic growth". The Industrial Revolution in Britain, Malm argues, was the original source of the fossil fuel economy. As early as 1850 Britain was far ahead of any other country, or region, in the production of greenhouse gases: "If global warming has a historical homeland, there can indeed be no doubt about its identity". Malm puts the case well for why Britain developed as a fossil fuel economy. All other nations that followed had to do some in the context of Britain's development. While Malm doesn't use the phrase, this is a classic example of "combined and uneven-development". Industrial development in other countries didn't need to follow Britain's path, they could use the latest in technology and industrial practices. The post-2000 emissions explosion is yet another example of this. Centered on China, this is an example, Malm argues. of capitalism searching around in an attempt to maximise profits. Low wages, looser controls on pollution and so on have made the capitalists move away from the developed world and locate their factories (and associated emissions) in China and countries like India. 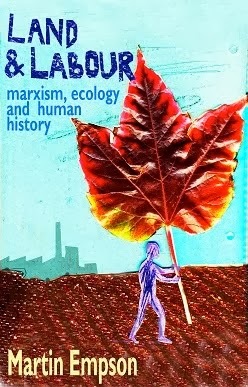 What is certain in Marx, however - an iron law of accumulation, impossible to bend or stem - is that the material volumes grow, that the technical composition rises even if the organic does not: and from an ecological perspective, this is what matters. 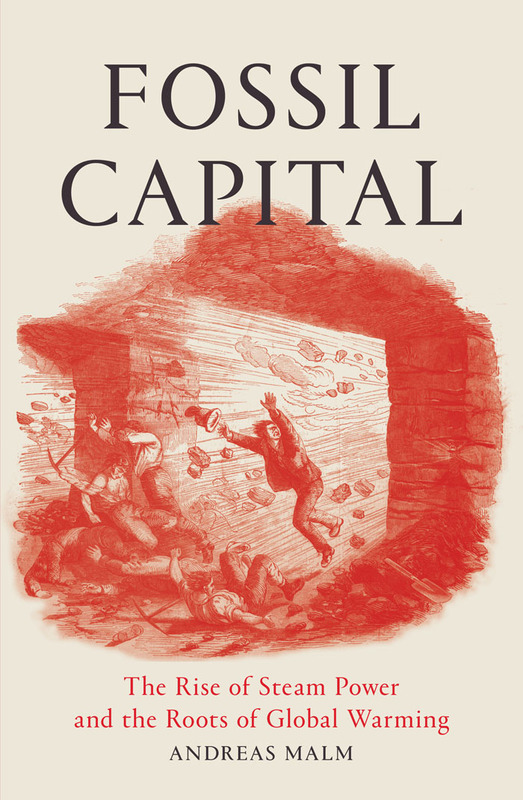 Given that capitalist machinery has been based on the stock since the early nineteenth century, and given that increased productivity will therefore mean that each hour of labour wields a greater amount of appropriated stock, there seems to be a low of a rising fossil composition of capital. The struggle to minimise the share of human labour in relation to machinery and other matter... causes a rise in the fossil composition, which, operating over the span of capitalist history, translates into a law of a rising concentration of CO2 in the atmosphere. The vested interests have no intention of changing their behaviour. While there are profits to be made, coal and oil will be extracted from the ground. The machinery to do so has to make a return and that means production might continue for a very long time. Malm gives one example if an oil platform built in 1982 whose one million tonnes of concrete represents an enormous investment that will see a return only after many decades of use. He quotes David Harvey, "When capitalists purchase fixed capital, they are obliged to use it until its value... is fully retrieved". But from inside the environmental crisis of climate change, this obligation will doom the entire planet. In this context, sticking plasters over the wound makes little difference. Even installing renewable energy doesn't replace fossil fuels on a like for like basis. Malm quotes a study that demonstrates for every one percent increase in renewable energy, fossil fuel generated power only decreases by 0.1 percent. The logic of capitalism is to simply expand. What needs to be done is to "pull the plug" on fossil fuels - the shutting down of the fossil fuel industry; the closure of coal mines and oil fields. It is an inherently revolutionary perspective that cannot wait till after some future revolution, but needs to be initiated today. I've focused in this review on the intensely stimulating core of Malm's book. I do have some disagreements with his arguments, but I don't feel that these are a major distraction from his main argument. In particular I don't think that he is right to dismiss the notion of the Anthropocene as he does. Malm argues that the key problem in terms of global warming is capitalism. In this he is correct, but nevertheless I think the Anthropocene concept can be a useful one, not least because capitalism is a creation of humans. In part this is because it helps to locate the problem for activists and scientists not yet won to an anti-capitalist perspective. My second disagreement lies with how envisage a challenge to Fossil Capital taking place. Malm argues that globalisation has enfeebled the working class. He celebrates the struggles of workers that challenged capital in the past, with an excellent discussion, for instance, of the 1842 General Strike, but concludes today that only "humans" have the "hypothetical ability" to save us from environmental disaster. But what are humans? Does that include the bosses in the oil industry, or the coal barons and the politicians in their pocket? Despite its defeats and its weaknesses the global working class today still has enormous potential to pull the plug on the fossil fuel industry. It is men and women who dig coal, build cars, load trains and aircraft and run electricity plants. They are real individuals with enormous power. It is workers like these, and all the others throughout the economy, who remain the only force in society that can bring about fundamental change precisely because they are central to capitalist production. Malm's book expertly proves that there is no one else in society who will save us from environmental disaster - the task for all of us is to build movements that can both challenge Fossil Capital, and destroy it. This sounds really good. Thanks for your thorough write-up! Putting it on my library list now.